create archive database in lotus notes? Create New Folder to move your mails which is going to be achieved. Go for Action and select Archive and then choose Create Criteria. Now a window of Create Archive Criteria will be open in which you have to give the name of folder at highlighted area as seen below. Now check in the box of "Enable this…" to confirm your step as seen below. Now choose the Folder name as mentioned picture shows then click on OK button two times. If you want to see the location of Archiving database then you can view the folder name as it is seen highlighted area of picture. 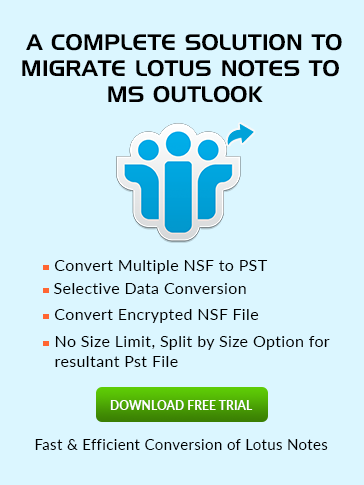 It is automatically built by Lotus Notes and can't be changed. After selecting the mail items Now Go for Schedule to schedule the Archiving from when and up to when archiving is to be done and then click on OK button. Click on Yes on alert box as it opens. If you want to see your Archived database then go to Mail option and in the left pane of it select Archive and then open your "test" folder which is made in the first step to store Archived data.